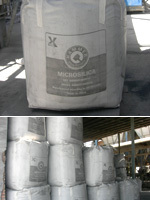 Microsilica, also known as silica fume, is a very fine pozzolanic material, composed of amorphous silica produced by electric arc furnaces as a by-product of the production of elemental silicon or ferro silicon alloys, which can be used in a variety of cementitious products such as concrete, grouts and mortars as well as elastomer, polymer, refractory, ceramic and rubber applications. 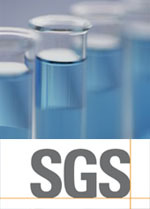 Xiamen Bentonite International Corporation (XBIC) is a professional supplier of microsilica, has established long-term partnerships with several large-scale ferrosilicon and silicon metal factories in China, and set up standardized equipments to collect and densify microsilica for many years. Our annual output of Hammer ® – microsilica is nearly 100,000mt, which is produced in conformance with the ASTM C1240 specification, and the quality is controlled and monitored throughout the entire production process to ensure that it meets or exceeds the specification requirements. Hammer ® - microsilica is supplied in uv-proof and aging-resistant jumbo bag according to GB/T10454 and EN ISO 21898, which is suitable to be stored in a severe environment for long term. 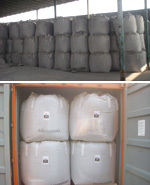 ● Packed in 900kgs jumbo pp bag with pe liner (2bags on a pallet).